When Umar Farouk Abdulmutallab tried to detonate his underwear to blow up a plane headed for Detroit, I wrote about several other incidents in which passengers engaged in outbursts and other suspicious behavior on other flights–including one also originating in Amsterdam–headed to Detroit. But we were told by authorities and the media: nothing to see here, move along. I knew for a fact that one of these was not just a “nothing to see here,” as I know that the man–who had a one-way ticket and no checked luggage–told FBI agents that he was businessman meeting a woman in Detroit. I also know that it was a lie and that authorities followed him, and he instead went straight to an extremist mosque in Washington, DC. That’s exclusive information you won’t see anywhere else, but on this site. Now, Detroit’s ABC affiliate has obtained Detroit Metro Airport police reports on two of these Christmas day passengers who were deliberately acting out, just as I said a year ago. Watch this video, and you will see something very clear: they were testing the system and had larger plans than just one plane exploding from underwear. I’m not sure which of these is the one who went to the DC mosque, though I believe that person is from a separate incident on the same Amsterdam-to-Detroit flight, the next day. I believe it’s the first guy, who screamed about Afghanistan on the plane. Regardless, I know that the man was not immediately “deported” back to Amsterdam. He was allowed to wander within the U.S., and I’m even told that the FBI (Famous But Incompetent) lost him or stopped their investigation, after he went to the DC mosque. This was a planned set of operations, which apparently weren’t carried out successfully . . . for now. The only party that isn’t carefully planning is the United States. And that’s precisely the problem. It’s not like we haven’t had ample warning. On 9/11, Khalid Sheikh Mohammed originally planned to blow up 10-12 planes, not just four. And, as I’ve noted many times, before that, he and his nephew, Ramzi Yousef (mastermind of the 1993 World Trade Center bombing) planned to execute “Operation Bojinka”–“Operation Terror in the Sky.” And, as I’ve noted over the past year or so, Muslims have been testing the system with various outbursts and charades on airplanes, most of them either headed to U.S. airspace or originating within it. This stuff from Christmas of last year is just more of the same. They had a giant plan that, but for the grace of G-d, didn’t hatch. Someday soon, another of these grand schemes will succeed. As long as we continue to do nothing while Muslims mock us with their schemes and charades on airplanes, they will eventually succeed, sooner rather than later. Bet on it. there was another incident, on Delta Flight 249 Amsterdam to Detroit later that day. Passenger Arnoldus Mol of the Netherlands was handcuffed to his seat after becoming disruptive on the flight. A flight attendant says while the restraints were being attached, he was headbutted by Mol. Mol also kissed the flight attendant on the cheek. The flight attendant’s thumb and shoulder were injured. 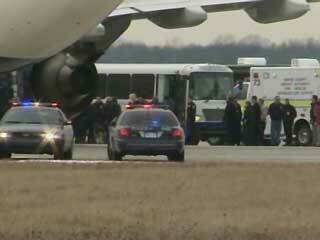 Passengers say Mol was throwing food and yelling anti-American and pro-Afghanistan statements. U.S. Customs officials tell Action News nobody pressed any charges against Mol, but he was placed on the next flight back to Amsterdam after he gave conflicting stories about whom he was visiting in the United States. There was also a third incident on Christmas Day, when Virgin America Flight 25 from New York City to San Francisco was diverted to Detroit. Police reports indicate that passenger Sathi Fung became disruptive and started yelling at a flight attendant because his meal contained meat. Fung was irate, swearing at the crew, then extending his forefinger out and with his thumb up in the shape of a gun, he placed it to the flight attendant’s temple and simulated shooting him in the head. Fung’s blood alcohol content was tested at more than twice the legal limit. He was arrested for interfering with a flight crew which is a federal offense. Investigators say he did not check any baggage, and was carrying $15,000 in small bills. The cash was confiscated. It is unclear where the federal charge stands, but the Drug Enforcement Administration says Fung is fighting the government to get his money back. Debbie, I remember at the time you wrote that these were most likely Muslim “plants” who disrupted flights to see what the response would be and what the consequences would be. Clearly there were no Federal Air Marshals on these flights, which is what I think they most wanted to discover. I’ll be staying home this Christmas. Frankly, I don’t fly much at all anymore. I so dislike being treated like a potential terrorist just so they don’t offend Achmed from Dearbornistan. we cancelled flying our son from michigan, to our home in seattle, over concerns of christmas attacks… i just assume obama and co are doing nothing about muslim threats. Obama and the several million dollor gang are enjoying yet again a fun filled halal holiday in Hawaii on the tax-payers dime. I should point out Islamo-pandering is a bipartisan affliction. It knows no ideology and no party affiliation. 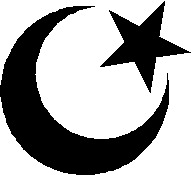 Grover Norquist is pro-Islamist on the Right. And there are others. Don’t blame it all on Obama. That’s not honest and its hypocritical to pretend the Left has an exclusive license on weakening the country. Much of the Muslim affirmative action began under Bush. Wake the heck up. I find it interesting that one of these yahoos was from Trinidad. A lot of people do not know this, but in 1990 there was a very serious coup attempt in Trinidad by Islamofacists. Now Hezbullah has enterprises all over South America and at least two South American dictators (including Chavez) from formerly democratic countries are forming ties with Iran. We have major league trouble in our own backyard but no one in our government seems to care. Although it seems like all of the untold stories were connected to Islamic plane plots, they are not. I know for a fact that Sathi Fung is in no way, shape, or form an Islamic terrorist. I have known him for a decade, and I was with him until he got on his flight. I also spoke to him soon after he was released. The bottom line is that the flight attendant was extremely rude in first class, and the fact that he had consumed alcohol did not help the situation either. Yes, it is not right for passengers to be disruptive during a flight. However, I will not let the world assume and think that Sathi Fung is terrorist! He is just a man who was having a bad day, and his experience with the flight attendant did not help at all. They will succeed because today they’ll have inside help in our federal security agencies, thanks to all the Muslim affirmative action. For that you can thank Bush, not Obama. Another reason not to miss him. Your absolutely right Debbie, Bush did invite the dictators of Saudi Arabia to his ranch on our tax money, and apparently that didn’t bother Wolf2012 or any of the gullible conservatives who are no different than liberals. And don’t get me wrong, I am NOT for Obama, hell I very seldomly agree with Obama on any issues, but I was NEVER a fan or a supporter of George W Bush, and that to is another reason why I still don’t miss Bush. Put Undiebomber in same cell with Unibomber. The problem arises from treating such things as law enforcement/criminal justice problems instead of what they actually are. Stripping off some leaves from time to time leaves the branches, trunk, and roots of this “Islamic-Hemlock Tree” intact. It will continue producing its poisons unabated, since the loss of leaves for any tree is quite a normal and unremarkable thing. It will happen again since the US govt is riddled through with incompetent PC know-nothingness, as with Bush so with Obama. When it does happen again, the Jews ie Israel will get the blame from the Left and the paleocons and probably from Obama himself, because we are building homes for Jews to live and sleep in and shower in and brush their teeth in – the inhumanity of it, a war crime if ever there was one. Unless you are here in Israel, you have no idea how Obama is hated (not counting the loony left of course). Whenever I hear “conservatives” blabber, ‘what will it take for the Left to wake up?’, I say to myself, what will it take for these chumps asking this stupid question to wake up? The Left will not wake up, they and all the Bush-McCain conservatives in the US and their equivalents around the world are constitutionally incapable of it. 9-11 didn’t wake them up, they just dug their heads in the sand and pandered to our enemies and sank further into dhimmitude, they will do it again next time and offer Israel as the sacrificial lamb. Thing is the jihadists unlike all the liberals and RINOs are not stupid – they also are not under any obligation to blow up planes. Jihad is jihad, sure blowing up planes is more spectacular, but there is nothing to stop them from targeting shopping malls, cinemas, sports arenas and the like, any place where a fair number of infidels gather in other words. I reckon that’s what they will do next time, target a shopping mall, sports arena, something like that. And then what will you do after that America? Have body scanners and gropers fondling toddlers and nuns and the like of Irish-Swedish-German-Scottish-Italian-Jewish-Hispanic and Native American heritage outside every cinema and baseball and football stadium? Don’t bet against it. Was this “business man” a non-immigrant alien? Or USC or LPR? The story also says Mol was deported the next day…was he the business man? A little confusing. Debbie: why haven’t Miriam L. Siefer and Richard HelPrick both been disbarred? and thrown in jail? Even if the criminally-corrupt Judge Rosen, whose name they forged, refuses to press charges against them — not only on his OWN behalf, but (more importantly!) on behalf of both the Court AND the People — are there not ANY other lawyers out there (including you) who can get them disbarred and then prosecuted? These are, after all, federal CRIMES which they committed!! I’m so sick and tired of the “free passes” which are afforded to federal authorities AND officers of the courts when they transgress the criminal (and civil) laws for which ordinary citizens would (in a heartbeat, and without doubt!) be prosecuted to the FULL extent of aforementioned laws. WTF is going on here??! I find it hard to believe that NO ONE is taking the ball and running with this . . . please let me know why the wheels of justice are NOT grinding away on the worthless, malignant hides of these two s***bags — and btw, THANK YOU for being there on the front lines, EVERYDAY, publicizing and fighting against all the transgressions which the mainstream media (INCLUDING Fox News Channel) and our governments (in ALL departments, and on ALL levels) work so diligently to keep us in the dark about! You are a beacon of light, at the end of the tunnel!